Severn traveled to MIAA B Conference rival St. Mary’s, Friday, and downed the host Saints, 62-56, that solidified the Admirals strong position in the chase for the B Conference playoffs. Mo Terry scored 21 points to lead three Severn players in double figures as the Admirals improved to 9-7 overall and 5-3 in the league. Owura Berko netted 19 and AJ Burch scored 13. The Admirals are now tied for fourth place in the conference with Archbishop Curley and only a game out of second place in the league. 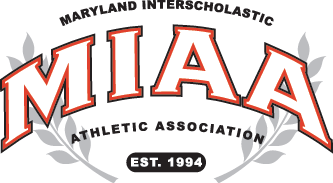 The top six teams in the standings make the post-season and Severn and Curley, which lost to first place Gerstell Academy are now each three games in front of St. Mary’s (4-10, 2-5 MIAA B), which is currently in sixth place. Senior Patrick Devitt scored a game-high 24 points to lead St. Mary’s and Michael Parme added 14 points.